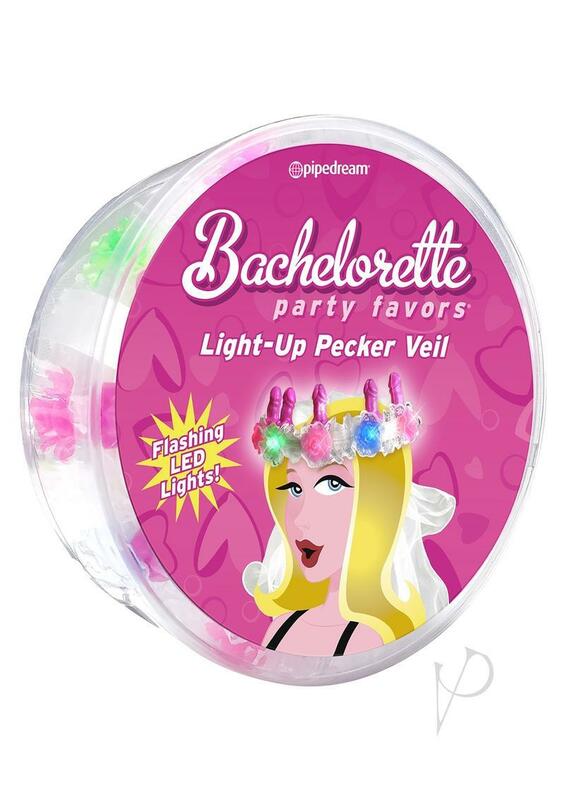 Make the bride-to-be the center of attention at your next bachelorette party with this must-have Light-up Pecker Veil. Turn off the lights and turn on the fun with five flashing multi-colored LED lights and 3 light sequences that showcase the naughty future wife! She?s not your ordinary bride, so why would she wear an ordinary boring veil? It?s guaranteed to make ?em laugh! Perfect for bachelorette parties, bridal showers, theme parties and so much more!